What's the speed limit here? It shouldn't be a difficult question. Unfortunately, anything involving the road network usually turns out to be less neatly organised than you might hope. In fact, if you ask what the speed limit is, the only short and truthful answer is that it depends. It's often called "the National Speed Limit", but there's actually more than one of them. They apply to roads without a specific signposted limit. 30mph on any road with a system of street lighting, including both single and dual carriageways* but not motorways. 60mph is the limit for single carriageway roads* without lighting. 70mph is the limit for dual carriageway roads* without lighting and motorways. The 60 and 70 limits are often referred to as being "derestricted" for historical reasons — once upon a time, where 60 and 70 now apply, there would have been no speed limit at all. 30mph (or "restricted") roads are almost always in cities, towns and villages, but the 30mph limit is actually invoked by the presence of street lighting. That could mean that a road lined with houses but without streetlights could be derestricted, while a rural road with streetlights could have a 30mph limit. In place of the National Speed Limit, any individual section of road may have its own local limit applied to it. With an appropriate legal order and suitable signage, the National Speed Limit is replaced with a limit of 20, 30, 40, 50 or 60mph. 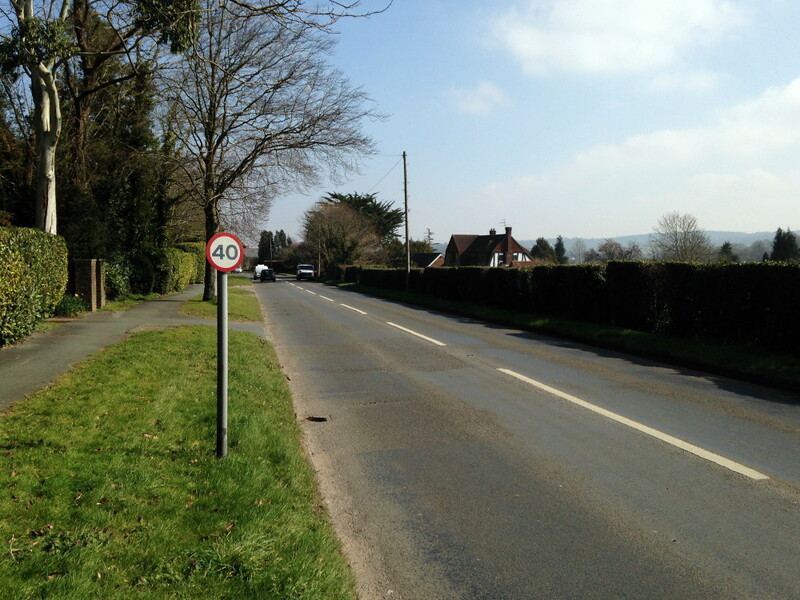 Because the National Speed Limit requires motorists to read their surroundings and understand whether a road is subject to a 30, 60 or 70 limit without road signs being present, any limit that differs from those must make itself known. For that reason, any limit that's applied to a road requires not just signs at the start of the limit, but also regular reminders throughout its length, so that a driver attempting to work out the limit from their surroundings will not be misled. This is the reason for the existence of uniquely British "repeaters" — miniature speed limit signs posted every few hundred metres along mile after mile of road where a specific limit has been imposed. A local limit can cause a road to have a higher or lower limit than it would otherwise have, though it may not exceed 60 on single carriageways or 70 on dual carriageways. Adding to this complexity is the fact that there are two kinds of 20mph limit, not one. Ordinary 20 limits work just like any other — a 20mph sign at the beginning and repeaters throughout. But there are also 20mph zones, which just have a special rectangular "20 ZONE" sign at the entrance. 20 zones are "self-enforcing", and the characteristics of the road itself are meant to naturally keep traffic speeds to 20mph or below — usually by the physical layout of the road or by traffic calming measures. No repeater signs are considered necessary. Even if a driver assumes they are in a 30 limit from their surroundings, they shouldn't actually be able to exceed 20mph. Some 20 zones do this better than others. In some places, where a 20 zone meets a 20 limit, speed limit signs exist showing "20" on both sides, because the two are technically very different restrictions. The other consideration is the specific limit that applies to the vehicle in question — and that is no small matter. There are five classes of vehicle for the purpose of speed limits, and each class has four different limits depending on the type of road the vehicle is on. Working out your class limit means knowing which category vehicle you are in and what kind of road you are on. You may wish to pull over and take a break from driving so you can think about it. Unlike National Speed Limits, which only divide roads into three sets, for class limits there is also the extra category of "motorways". So, the speed limit that applies to a vehicle is either the road speed limit or the vehicle class limit for that type of road — whichever is lower. Drivers of goods vehicles may also need to take into account whether they are in England, Scotland or Wales. 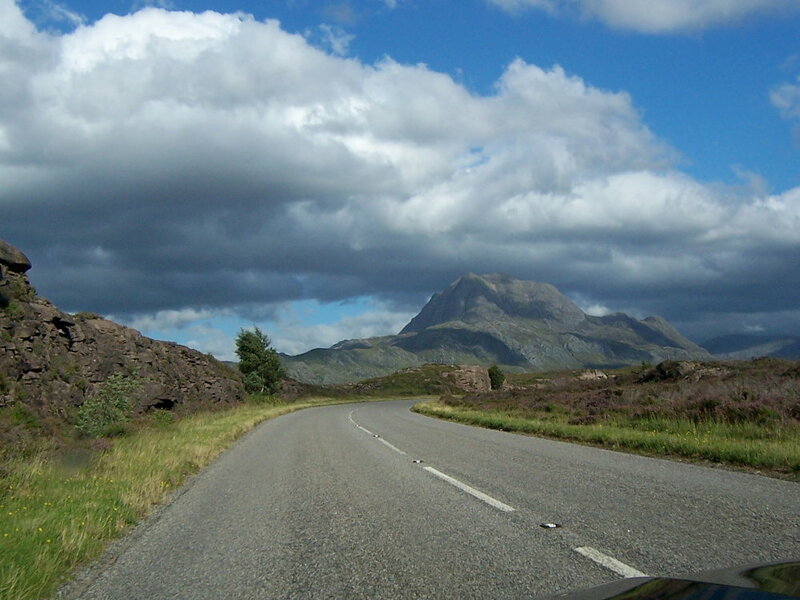 a car can travel at 50, because its class limit is 60, but the road limit is 50.
an articulated lorry could only travel at 40 — the road limit is the same, but the lorry's class limit is lower in Scotland, so that's the one that applies. Interestingly, it's not possible for some vehicles to reach their maximum legal limit. Goods vehicles are theoretically allowed to travel at 60mph on motorways, but they are also subject to separate European legislation that requires them to have a mechanical limiter fitted, making it impossible for them to exceed 56mph and making 60 an impossible dream. For the hapless motorist who just wants to know how fast they can drive their car, it's not just the limits themselves that are difficult to work out — the legislation behind them is also hopelessly complex and fragmented. The various class limits and the default National Speed Limits exist because of a host of laws passed at different times and for different purposes. The most important is the Road Traffic Regulation Act 1984, or "RTRA" to its friends. Amongst many other things, it sets the 30mph limit on restricted roads; it defines a restricted road as being one with a "system of street lighting" that has lamps at most 200 yards apart (or, pedantically, 185m if in Scotland); it sets out how speed limits are made; it exempts emergency vehicles in certain situations; and — crucially — it makes it an offence to break a speed limit that is set by this or any other legislation. The RTRA also gives the appropriate Minister the power to set a speed limit on Special Roads (a category that includes motorways), but what it doesn't do is create a National Speed Limit or any limit for motorways. In fact, other than the standard 30, the RTRA mostly just enables the creation of speed limits. Everything else exists not because of an Act of Parliament, but because of a whole series of Statutory Instruments — legal orders published quietly and without much discussion. The Motorways Traffic (Speed Limit) Regulations 1974 is one of them. Published by Anthony Crosland, a brand new Transport Minister at the beginning of a new Labour government, it actually raised top speeds considerably, replacing a temporary 50 limit imposed during the oil crisis. It invokes a 70mph speed limit on all motorways and imposes limits of 50 or 60 on a long list of specific urban motorways (many of which have since been changed by newer regulations). The part that actually sets the limit is so short it would fit in a text message with room to spare, and it doesn't bother to distinguish between motorways with different physical characteristics. They're all just motorways and they're all good for 70. That means that a single carriageway road operating under motorway restrictions has the same limit as other motorways. There are only a few examples of this, most of them very short, but it is just possible to reach 70 on a couple of them providing you trust your brakes to stop you before you reach the end. Two other Statutory Instruments form an embarrassing legal bodge — the National Speed Limit. It was famously imposed as a temporary measure, and incredible though it may seem, it remains temporary. No government has ever got round to tidying up the loose ends to recognise the fact that it's now a permanent measure that's never going to be taken away. The current National Speed Limit was imposed by the 70 miles per hour, 60 miles per hour and 50 miles per hour (Temporary Speed Limit) Order 1977. That document makes it an offence to drive a motor vehicle at more than 70mph on a dual carriageway or 60mph on a single carriageway. It specifies throughout that it refers to roads "not being motorways". However, the 1977 order was time-limited, expiring in May 1978, and after a further short extension, Secretary of State Bill Rodgers made the thrillingly titled 70 miles per hour, 60 miles per hour and 50 miles per hour (Temporary Speed Limit) (Continuation) Order 1978, an extremely simple document that simply says the 1977 limits are "continued indefinitely". Those two legal post-it notes are all that stands between the British motorist and unlimited speed on the roads we still refer to as "derestricted" — ones that still have no permanent speed restriction. Local speed limits are created by orders under section 84 of the RTRA — a bit like the Statutory Instruments above. They describe a length of road and the limit that applies to it. Highway authorities decide on limits by a well-practiced process, which is explored in depth in The Numbers Game. There are a few roads that only have local limits. All-purpose roads have the National Speed Limit and motorways default to 70, but there's a third type of road called a "non-motorway Special Road" that's not in either category — so the default 30, 60 and 70 do not apply to them. All such roads have specific limits, and can sometimes be identified by the fact they have "70" signs where you'd expect to see a black and white National Speed Limit roundel. It's not even clear whether vehicle class limits apply on non-motorway Special Roads, so a "70" sign might actually mean a true 70 limit for all vehicles. According to SABRE, no case law appears to exist and this potential loophole has seemingly never been tested in court. Minimum speed limits (the rare, lesser-spotted variety of the speed limit genus) are created by specific legislation where they are required, and aren't part of the RTRA or any other normal speed limit paraphernalia. They only exist in a few locations around the UK and sometimes the law that makes them possible is difficult to track down. For example, a minimum speed limit of 10mph applies in most of the UK's longer road tunnels. In the Mersey Tunnels, it's enforceable because it's set out in the Mersey Tunnel Regulations, the legal rulebook that also prohibits certain types of cargo from passing through and so on. The Dartford Tunnel's minimum speed limit appears to be in an obscure Traffic Regulation Order. For the Blackwall Tunnel it's... well, it's presumably written down somewhere. In all cases, even though the legislation behind each example may be bespoke, a minimum limit is the lowest speed that is permissible if traffic is moving freely. If your vehicle is not capable of that speed, it shouldn't use the road. If, on the other hand, traffic is heavy and you can't reach the minimum speed without damaging the bumpers of the car in front, then that's an acceptable reason to travel more slowly. Our speed limits and the laws behind them are — clearly — a mess. Just how on earth did we end up in this situation? * A single carriageway road is one where opposing directions of traffic share the same paved surface, regardless of the number of traffic lanes in each direction. A dual carriageway has a physical divider between the two opposing flows. 10mph minimum speed limit sign at Blackwall taken from an original photo by M4Simon and used with permission.